Sky Italia: Motor Trend is back on 11958.00MHz, pol.V SR:27500 FEC:3/4 SID:10915 after a break ( PID:177/ - Clear). Sky Italia & TivùSat: New frequency for Motor Trend: 12635.00MHz, pol.V (DVB-S SR:29900 FEC:5/6 SID:3659 PID:168/432 Italian- Nagravision 3 & VideoGuard). A new channel has started in DVB-S2 Clear: Motor Trend (Italy) on 12543.00MHz, pol.H SR:34200 FEC:8/9 SID:25 PID:8010/8011 Italian. New SR for Motor Trend on 12543.00MHz, pol.H: SR:36510 ( FEC:2/3 SID:25 PID:8010/8011 Italian - Clear). 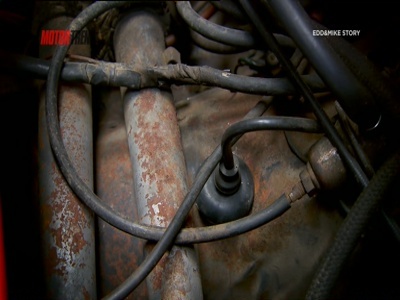 A new channel has started in DVB-S2 Clear: Motor Trend (Italy) on 12718.00MHz, pol.H SR:36512 FEC:5/6 SID:25 PID:8010/8011 Italian. Sky Italia & TivùSat: A new channel has started in DVB-S Nagravision 3 & VideoGuard: Motor Trend (Italy) on 11881.00MHz, pol.V SR:27500 FEC:3/4 SID:3659 PID:2531/2532 Italian.